My 40 year old son got to see the Rugrats (in a focus group) at the studio, prior to it coming out on Nickelodeon. When I picked him up later, all he would talk about was Reptar! He went on for weeks. And when Reptar began appearing in toys he/we started collected them. He's going to LOVE this item!!! I saw that review and thought it was pretty cool. Being in on the focus group has to be amazing. Being the person that has to take note of the kid's thoughts, God bless that person soul. Anyways. Admit it. You wanna know what Reptar cereal taste like. It's okay, we all have wondered this while watching the show. You in luck cause it's on Amazon. Now you can relive yo childhood while not having to fully live yo childhood. Remember we have to wait for the music videos we like to come on TV to watch them? Ew. You can also get Reptar bars. They turn yo tongue green. None of this is what this post is about. Well, kinda. Cause while you eating all the cereal and getting the greenest yo tongue can get, you can look up and see this beauty. 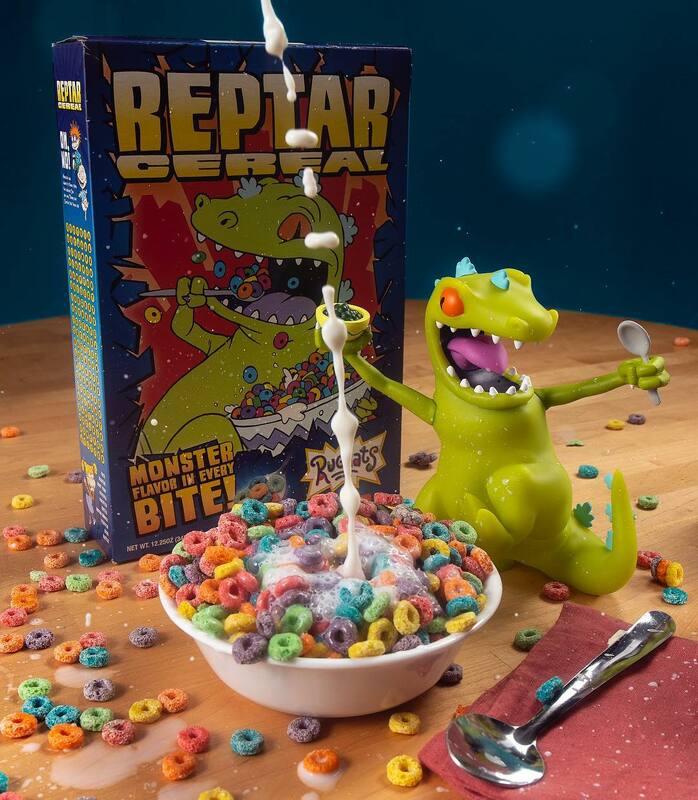 Now Kidrobot is taking the vinyl world back to the Jurassic with Tommy Pickle’s favorite Tyrannosaurus Rex, REPTAR! 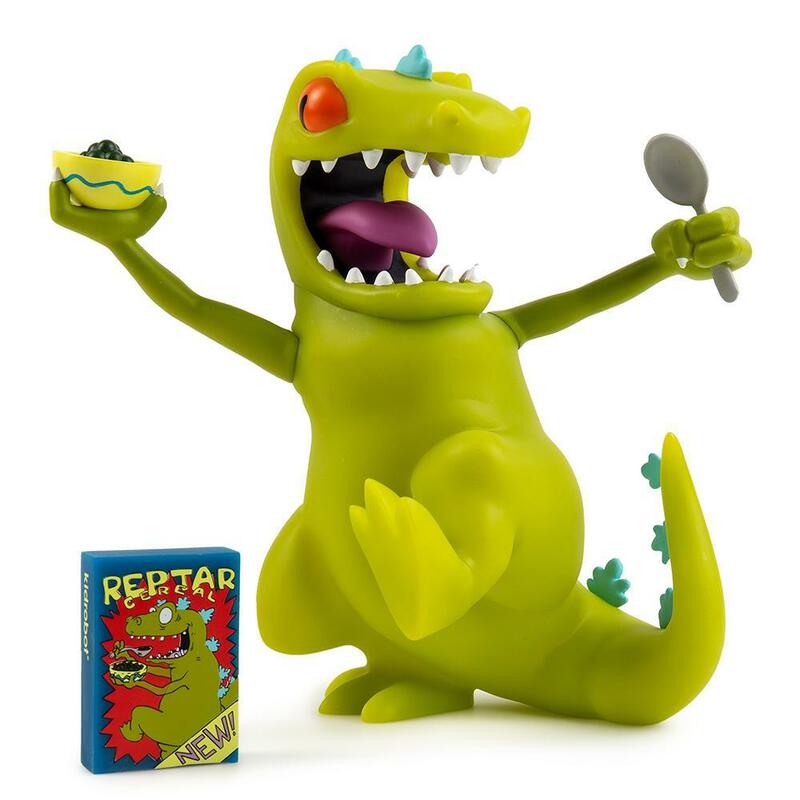 This collectible REPTAR pop art figure by Kidrobot is meticulously designed, created with Kidrobot's legendary high-quality vinyl to preserve the saturated colors that bring this figure to life. Now I know you not about to ask where to buy this right? With this super huge banner below. You not about to. No way. You smart.